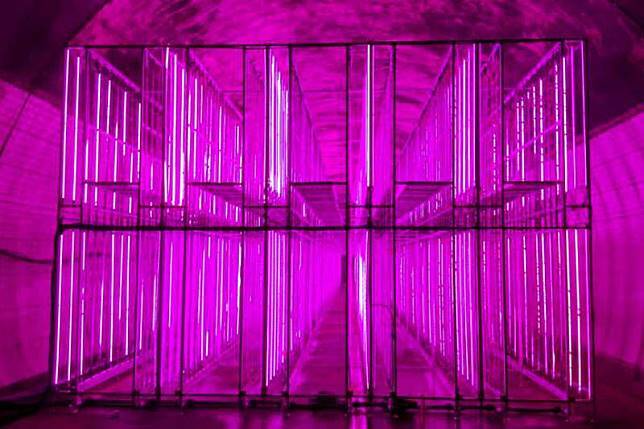 An old tunnel in South Korea has been transformed into a vertical farm lit with LED growing lights to grow vegetables and fruits as an approach to solve issues caused by the extreme weather and shortages of agriculture land and labor, reported Associated Press. NextOn, an indoor farming company, has rented a closed tunnel in Okchean, South Korea, and turned it into a smart farm by setting up vertically stacked layers to grow corps hydroponically with LED lighting. 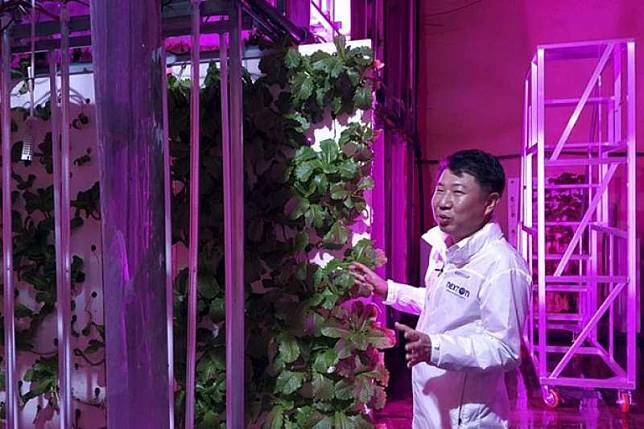 According to the company, it is the world’s first indoor vertical farm built in a tunnel and the biggest one in the country with its size of 2300 square meters. Sixty types of corps are grown in the farm using NextOn’s cultivation system. Choi Jae Bin, head of NextOn, said the temperature in the tunnel is between 10 to 22 degree Celsius (50 to 72 Fahrenheit), making it suitable to optimize growing conditions for the crops. Smart farms applying LED lighting technologies and systems are considered a potential solution for sustainable food production with the crisis of global warming and declining population working in agriculture. The tunnel was built in 1970 for a major highway in South Korean and was closed in 2002. By using the abandoned tunnel, NextOn has cut down half of its construction cost. The farm has started supplying its vegetables to a food retailer and a bakery chain by the end of August.